This colourful Japanese maple Butterfly is a small, compact shrub with an upright habit, ideal for container growing or to be used as a feature tree in smaller gardens. Acer palmatum Butterfly showcases an abundance of tiny red flowers in spring, and red, winged fruits in late summer. Both offer a wonderful contrast against grey-green foliage, speckled with cream and pink hues. The leaves become edged with a deeper pink colour in autumn and the cream areas turn a vibrant scarlet before falling. This low maintenance ornamental tree will grow to an estimated height and spread of 2.5 x 2 metres in 20 years (1m x 60cm in 10 years) and similar to other Japanese maples, prefers a sunny or partially shaded spot with moist, well-drained soil. Sometimes slow growing when young but rewarding when mature. Pot grown variegated Japanese Maples can be planted at any time of the year. Firstly, remove all weeds and grass within a metre of your desired planting hole then dig a square hole as deep as your root mass and approximately 2x as wide. To help your tree establish more effectively, we advise sprinkling root grow in the hole, especially if you have poor soil. 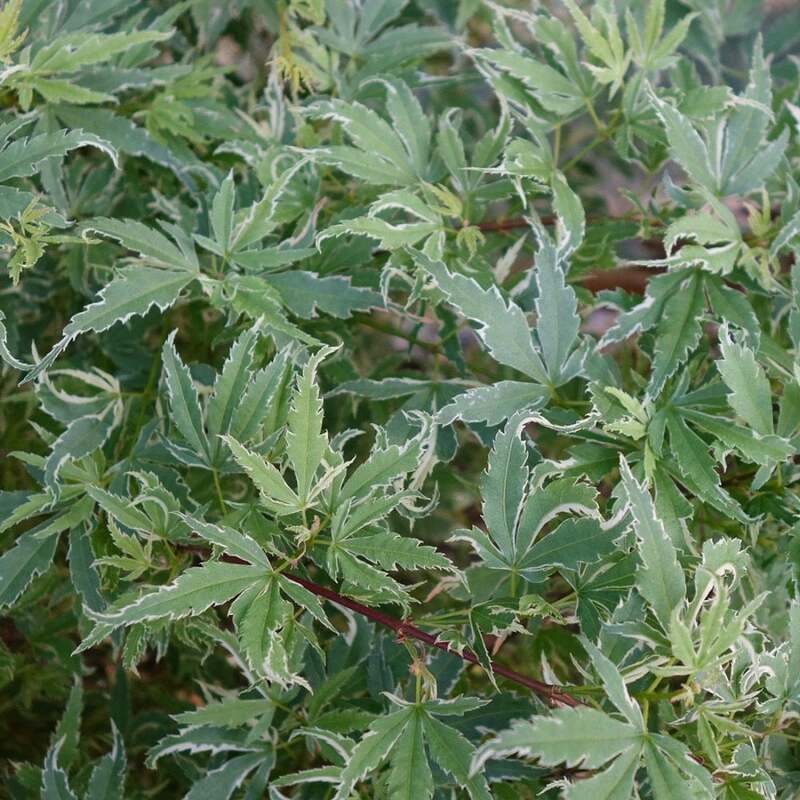 When planting variegated Japanese Maples, use ericaceous compost when possible as this encourages vibrant foliage colour. Using 50% of the original soil and 50% compost, fill in the hole and firm around gently. Make sure not to bank the soil up around the collar of the tree as this can cause problems.